Today modern Smart Desk Lamps come in a wide range of shapes and sizes to fit your desk, end table, or nightstand. These features filled device offer tons of lighting options from different shades of white to every other colours of the rainbow. They also have the ability to be controlled by hand, with your phone or with your voice. Our collection of desk lamps are great for reading, calming, sleeping, waking up and even entertainment. This is the most unique smart desk lamps on this list. Not only is it a desk lamp but its also a Bluetooth speaker so you’re able to listen to your favorite music. You’re able to stream and control your music from your phone from up to 10-meter away. This smart desk lamp will prevent harmful glare and light flicker while offering protection against eye fatigue. Likewise, the Warm Night Light function is perfect for those times when you don’t want much light. It also has touch control and an integrated USB charging port to conveniently charges your devices. 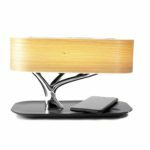 MLGB WIFI Smart Wood Table Lamp has a very vintage design with modern features. It has a wooden base and linen beige fabric shade which makes it the perfect fit for many different types of home interiors. 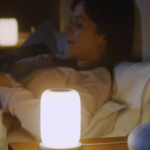 This smart lamp can be controlled with your smartphone via a WiFi connection using the included app or you can connect to your Google or Amazon smartspeakers. It has a wide range of preset lighting colours along with adjustable luminance levels so you’re able to set your lighting to suit your taste. unlike some of the other smart lamps, this Wood Table Lamp does have a physical switch so you can manually turn it on and off. 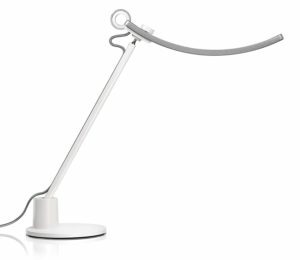 The BenQ WiT e-Reading Desk Lamp will provide you with a wide lighting coverage and plus an even distribution of light which will improve the time you spend reading. 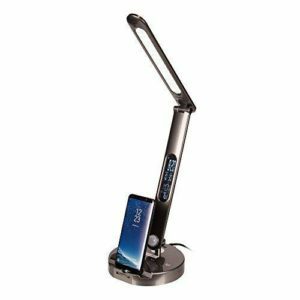 This e-reading desk lamp was developed to produce a 90% illumination range which is a 150% wider range than standard reading lamps. It features patented illumination to reduce glare. There’s also an integrated sensor that detects the ambient light then adjusts itself accordingly. You’re able to choose various lighting options suitable for concentration, productivity or relaxation. The WiZ Smart LED Hero Table Lamp has a very sleek modern design which makes it look perfectly at home, on your office desk, TV stand or bedside table. What makes this smart lamp stand out is its ability to change colours during a certain event. 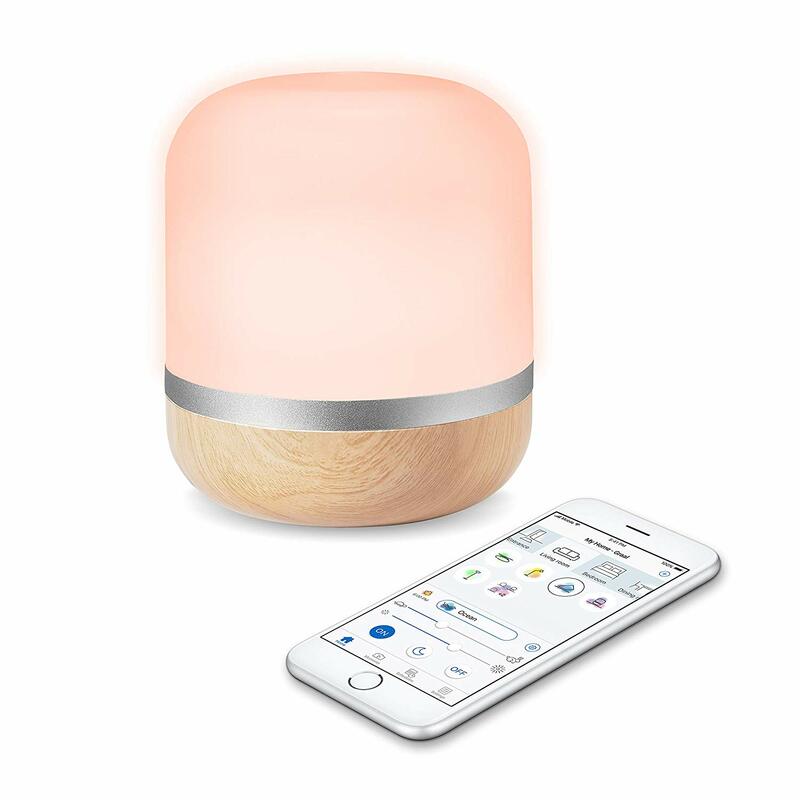 This means you can program the lamp to automatically shine to a specific colour when your bedtime is approaching by creating a lighting schedule using the app. Not only can you use the app to control lighting colours and schedules but you can also use it to turn the lamp on and off. In addition, you’re able to connect to your Google Home or Amazon Echo devices. There’s also a feature called Vocation mode, which will turn the lamp on if you want to give the impression that someone’s home while you’re away. The Philips Hue Beyond Dimmable LED White Smart Table Lamp offers millions of different colour options at your fingertips. It provides you with the option to wirelessly control the lamp using your smartphone or tablet. This sleek desktop lamp allows you to sync the light to your music, movies, and video games, to provide another level of entertainment. 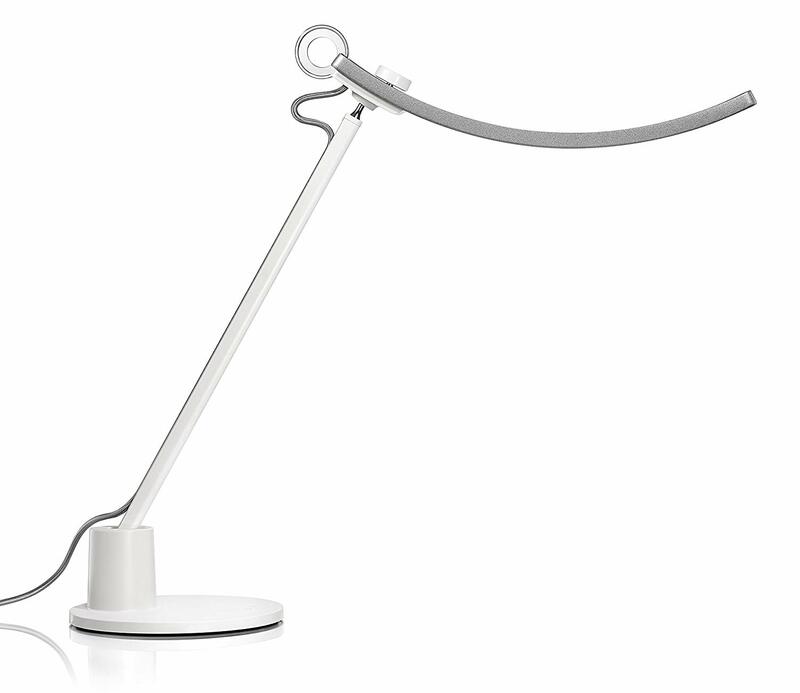 The height is also adjustable, so you can easily adjust the lamp to suit your style. The Newport Home Goods Tree Lamp looks like an exquisite piece of art. This masterpiece was designed to replace most of your gadgets on your desk and create a neat and tidy look without taking up much space. Featuring a cherry wood shade and touch controls on the base so you can easily adjust the brightness. It has a Sleep Mode that will automatically turn it off after half an hour so you don’t fall asleep with the lights on. 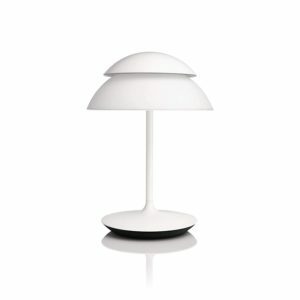 The base of the lamp is also a wireless charging pad, so you’re able to wirelessly charge your phone with ease. 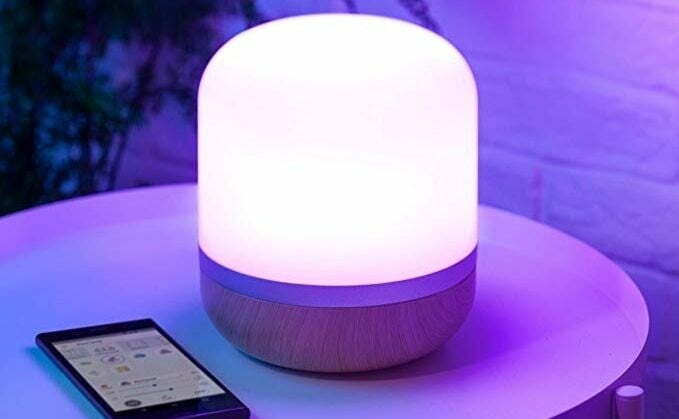 For additional entertainment, the lamp includes a built-in speaker that you can pair to via Bluetooth or Wi-Fi connectivity speaker and play your music wirelessly. The LumiCharge II Multifunctional Smart LED Lamp allows you to do more right from your desk. It has a dimmable LED light along with a motion sensor. You’re able to choose between white, soft white and soft yellow light colour options. What makes this very impressive desk lamp different than most on this list is that it features Qi wireless charging, so you can wireless charge your devices. In addition, you can use the built-in dial which easily rotates to reveal the charging ports for USB-C, Lightning, and micro USB devices. On the front, you’ll find the LED display that will show you the time, date, temperature and you can program daylight savings to make sure the display is always correct. Have your say below if you have purchased any of these awesome Smart Lamps, please share your experience with us. If you have any questions about these or any other Smart Lamp please comment below.